For the baseball lover in your house, their very own personalized water bottle! Our 600mL white aluminum water bottles are the eco chic way to stay hydrated at work, school, picnics, and sports games. They make an excellent gift for all ages - kids to teachers, brides to groomsmen, siblings to grandparents. 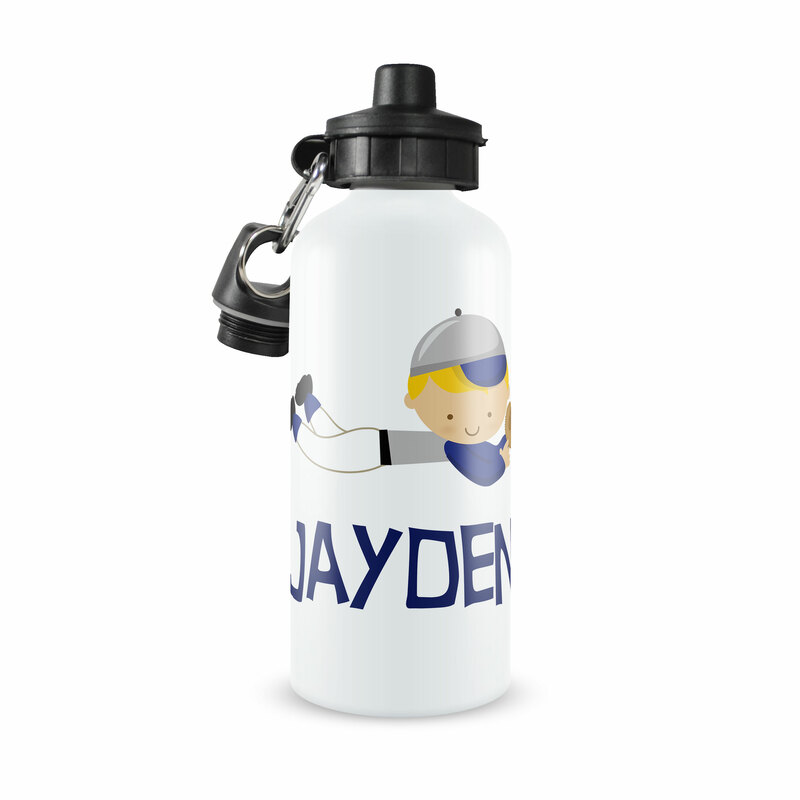 Personalize with your name or initials to make this water bottle uniquely yours!